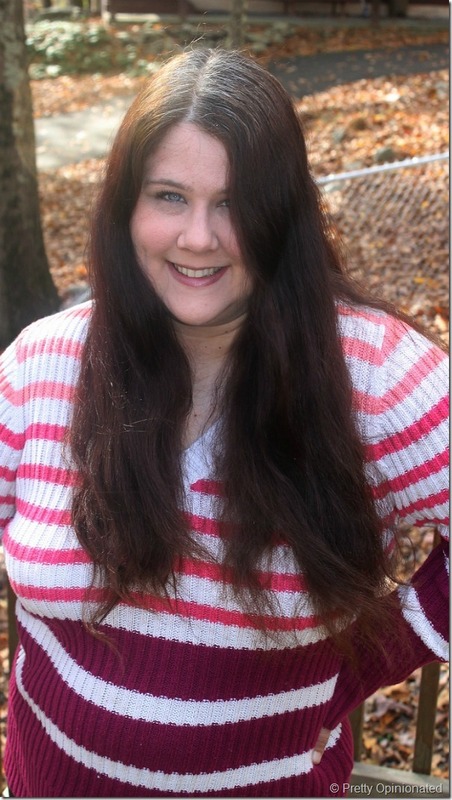 Last month, I told you about the Living Proof hair challenge. For 30 days, I used only Living proof PhD products. That meant clearing out the five or six other brands of hair care products (I like to mix things up!) from my shower and replacing it with just the Living proof PhD shampoo and conditioner. 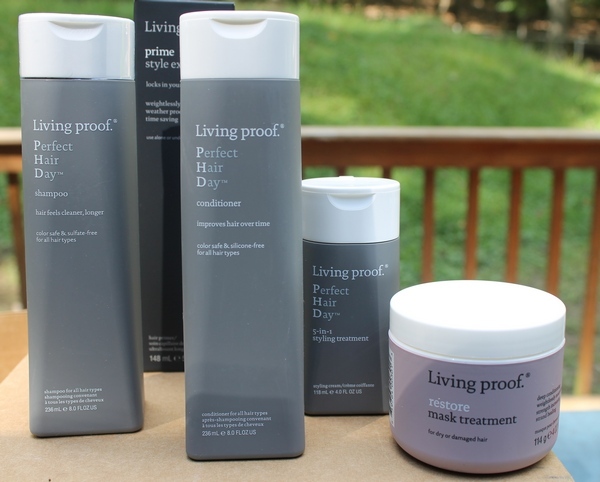 I also cleared off my bathroom sink of all the random styling treatments and replaced them with a single bottle of Living proof 5-in-1 Styling Treatment. While I also received the Prime Style Extender and the Restore Mask Treatment, for the sake of the challenge I tried to stick with just the three main products. I thought the challenge would be harder for me to stick to, since I am such a hair and beauty product addict. I really liked the results after the first week, though, so I stuck with it. After the second week, the results were so fantastic that it wasn’t really a challenge anymore! I absolutely love how soft Living proof PhD makes my hair feel. 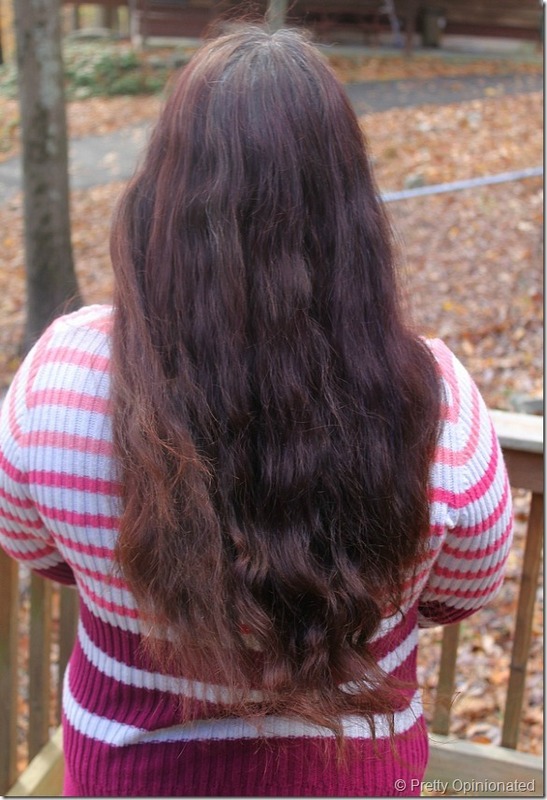 I also love that it feels much healthier, even though I’m WAY past due for a trim. Most of all, though, I love that I don’t have to put much effort into styling it anymore. My hair takes so long to style that I rarely bother doing anything with it. I wash it, let it dry on its own and deal with the crazy poofiness. It’s not like I leave the house all that often anyway, right? I mean, aside from going to the grocery store. Of course, I do want to look nice sometimes! This is my hair before the Living Proof challenge. Not bad, but poofy. Out of control. Last night, I tried an experiment. It’s called the “I’m too lazy to style my hair today” experiment. How is that different from every other day? Well, because this time it had a purpose: to see if I could wash my hair with Living Proof and toss in the 5-in-1 Styling Treatment, pull it back and let it dry naturally (AND bunched up in a hair tie), then still make it look semi-decent the next day. The rule: styling couldn’t take more than five minutes. 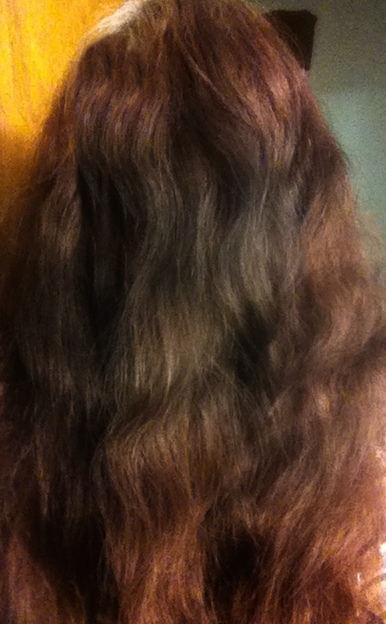 Still, it looks wavy rather than totally out of control. For me, this is a MAJOR improvement. Also, you’ll notice some grey roots. In the spirit of the challenge, I didn’t dye my hair during those 30 days. I wasn’t sure if that would be cheating, since I use the little conditioner packets that come with them. Need more convincing? How about this: Jennifer Aniston is co-owner of Living Proof. If anyone knows how to have a Perfect Hair Day, it’s Jennifer! She’s THE hair icon of our generation. Living Proof has an awesome Pinterest board filled with gorgeous Jennifer Aniston hair styles. What is your idea of a Perfect Hair Day? I love your long hair! Mine is so thick that I have to keep it short.